Vortex Optics is an American company developing optics for hunting, bird watching, wildlife watching, outdoor recreational sports, and law enforcement. 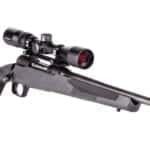 Vortex products include binoculars, spotting scopes, riflescopes, and other optical equipment. The Savage 110 APEX Hunter XP features a premounted and boresighted 3-9x40mm Vortex Crossfire II scope on a one-piece EGW 0 MOA rail. TRUGLO introduces the all-new Pistol Red Dot Sight Mount. 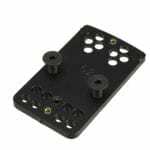 The Pistol Red Dot Sight Mount takes advantage of the dovetail slot to add an optic mounting base. 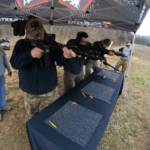 DoubleStar Corp, manufacturers of high-quality, US-made AR components, rifles, pistols, and blades, recently sponsored the Rock Hard 3 Gun match. 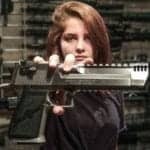 Kahr Firearms Group is proud to announce that competitive shooter Danyela D’Angelo will make an appearance at the Kahr Firearms Group SHOT Show booth. 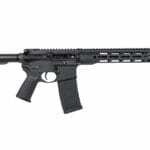 The RISE Armament Watchman Rifle was developed with input from SWAT/SOT/SRT officers, patrol officers, military snipers, competitive shooters, and firearms instructors to ensure it combined the best in functionality, accuracy, dependability, and affordability.